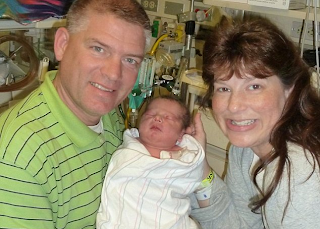 August 13, 2012 -- Gil and Kelly Bates now have a nineteenth mouth to feed, cementing their position as figureheads of one of the largest families in America. Due on Valentine's day, the latest addition to the ever-swelling clan was two weeks early. Jeb Colton Bates was born weighing a healthy 7lbs 8oz and spent several days in ICU. The unusual mother has had no twins, no C-sections and 14 drug-free births and has spent more of her adult life pregnant than not. We both came to the conclusion we just want to trust God with how many children we have. We never really thought we'd have 18. We thought we'd have maybe one or two - maybe three, said Gil, a 45-year-old tree surgeon.